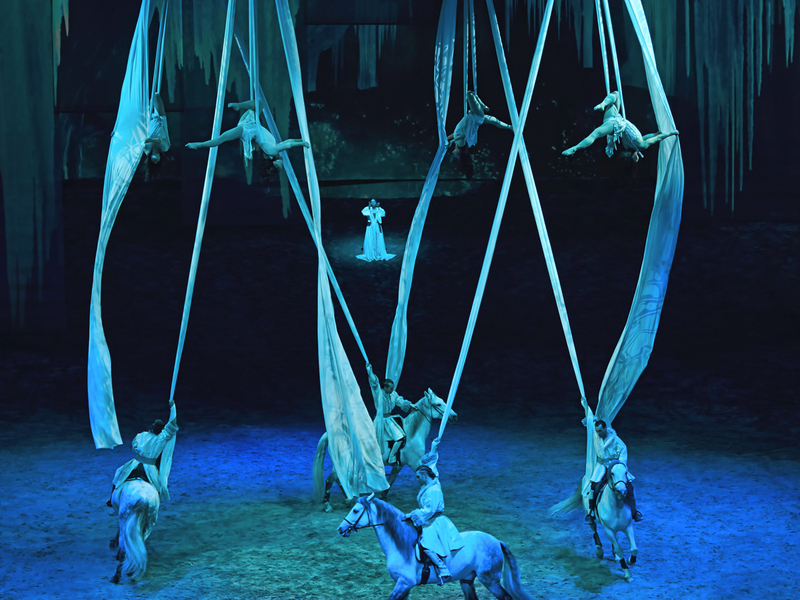 Montreal-based Cavalia’s production Odysseo combines equestrian arts, stage arts, and high-tech theatrical effects with 65 horses interacting with a cast of 48. The traveling production, which is produced in a 125-foot tall White Big Top Tent, is currently touring the United States with communications aided by a Radio Active Designs UV-1G wireless intercom systems. The show sets up the Big Top in each city with performances for six weeks before moving on to the next location. The tent spans more than 84,000 square feet and has a seating capacity of 2,000. The stage, which at times is host to 65 horses and their handlers, covers 17,500 square feet. This is not a small production. With shows scheduled for San Jose, Orange County, Vancouver and Chicago, Michel conferred with Montreal-based Solotech to find a reliable wireless intercom solution. When Solotech recommended the UV-1G system, which operates primarily in the VHF band, he immediately purchased two base stations and 16 RAD packs. 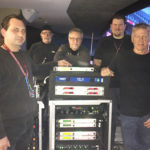 Philippe Palanque, monitor engineer for Odysseo, manages both base stations and body packs, ensuring they are working and that the crew has what they need. Because the body packs operate in the VHF range, there is plenty of available spectrum for use, no matter where the show takes place. The base station utilizes proprietary Enhanced Narrow Band technology which allows the 6-channel unit to occupy a mere 25 kHz of bandwidth while maintaining the audio characteristics one would expect from a traditional FM system. This year’s COPA America Centenario soccer tournament, held in North America for the very first time, featured unforgettable opening and closing ceremonies held at Levi Stadium, Santa Clara, CA, and MetLife Stadium, East Rutherford, NJ respectively. Ceremony show producers FiveCurrents (5C) relied upon Radio Active Designs UV-1G wireless intercom systems to provide the production crew with flawless communication during both ceremonies. As with many large sporting events, it took more than one team to pull off a seamless event. While Five Currents produced the opening and closing ceremonies, the broadcast was covered by Broadcast Services Group (BSG), a full service production company that specializes in packaging live sports events. BSG in turn hired Professional Wireless Services (PWS) to provide frequency coordination services for the 34-game tournament. Ike Zimbel, RF coordinator for PWS, suggested utilizing the UV-1G wireless intercoms to free up UHF bandwidth for the wireless microphones and IEM systems each ceremony required. ATK Versacom provided the gear for the opening ceremonies while Firehouse Productions stepped in for the closing ceremonies. Ultimately Zimbel utilized three UV-1G base stations with 18 RAD belt packs at Levi Stadium and four UV-1G base stations with 24 RAD packs at MetLife Stadium. 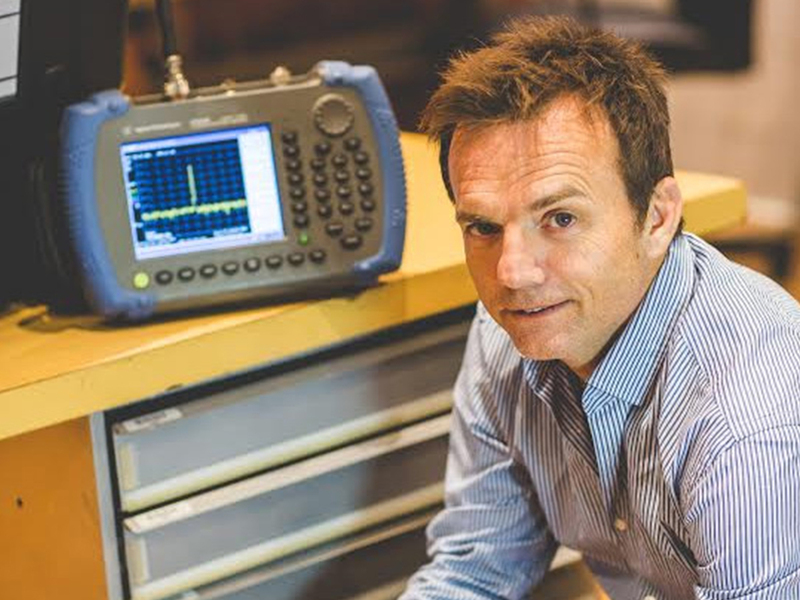 “As a frequency coordinator there is nothing better than to go into a situation where you are looking for frequencies for intercom and you get 60 candidates – VHF is like a return to the good old days,” Zimbel concludes. 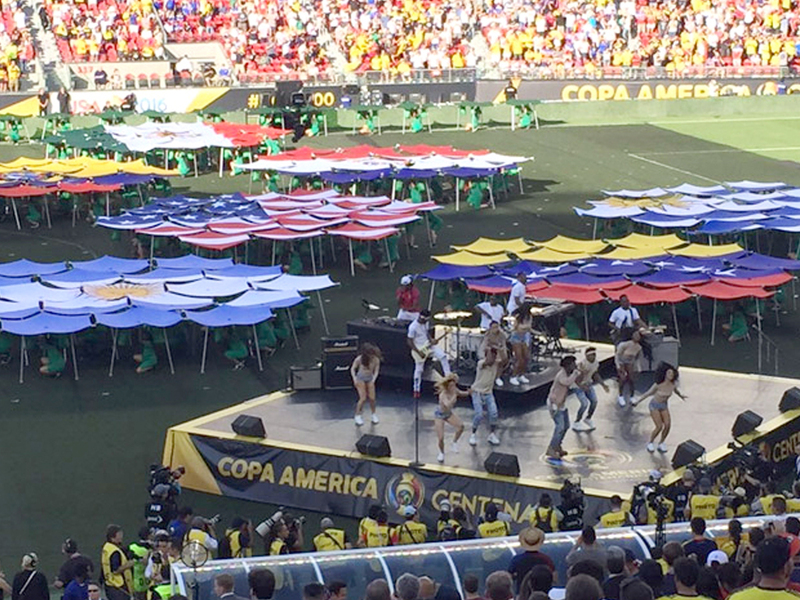 Photo Cutline: Radio Active Designs UV-1G wireless systems assisted with the coordination of the opening (pictured) and closing ceremonies for the COPA America tournament. 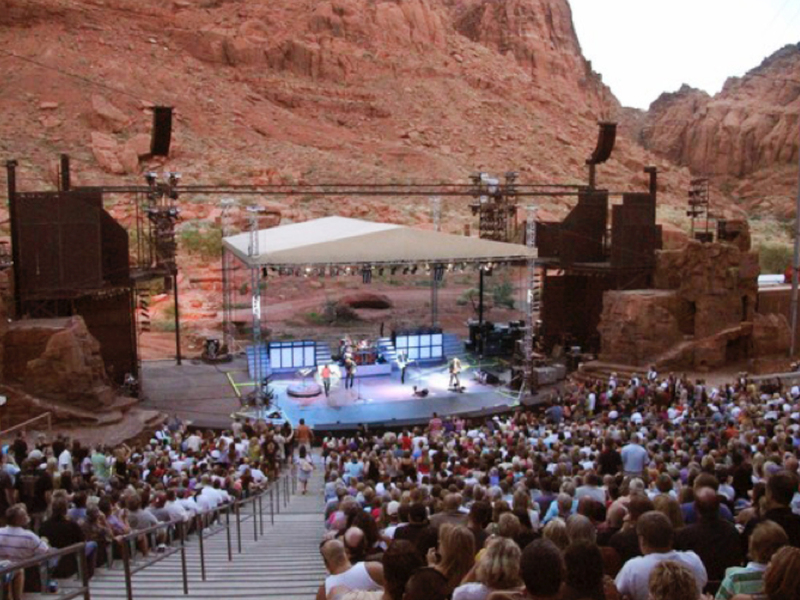 Tuacahn Center for the Arts, located in the mouth of the Padre Canyon in Ivans, Utah, recently upgraded to Radio Active Designs UV-1G wireless intercom systems. The 1,920-seat outdoor amphitheater – which opened its doors in 1995 – attracts thousands of patrons for the assortment of musical theatre productions and concerts it hosts annually. Ann Arbor, Michigan-based Amazing Audio recently frequency coordinated nine Radio Active Designs UV-1G wireless intercom systems for press events for the annual North American International Auto Show (NAIAS), held in Detroit, Michigan. Amazing Audio’s Jeff Jones provided RF coordination for the event. Jones used 603 RF frequencies during Press Week. Seven major audio manufacturers hosted press events that also utilized the RAD intercom systems. General Motors (Bluewater Technologies) and Ford (Center Stage Inc., Digital Black Inc.), each put two UV-1G systems to use, while Volvo (Creative Technologies), Hyundai (Creative Technologies) Lexus (Creative Technologies), Volkswagon (Riedel/Germany) and Lincoln (Digital Black Inc.) used individual systems for each of their events. Radio Active Designs’ Enhanced Narrow Band technology allows the units to fit more than ten times the amount of wireless systems in the same band as traditional RF Intercom systems. As a result, even the base stations, which operate in UHF, have a very small footprint in the UHF band – making them invaluable at an event of this scope. 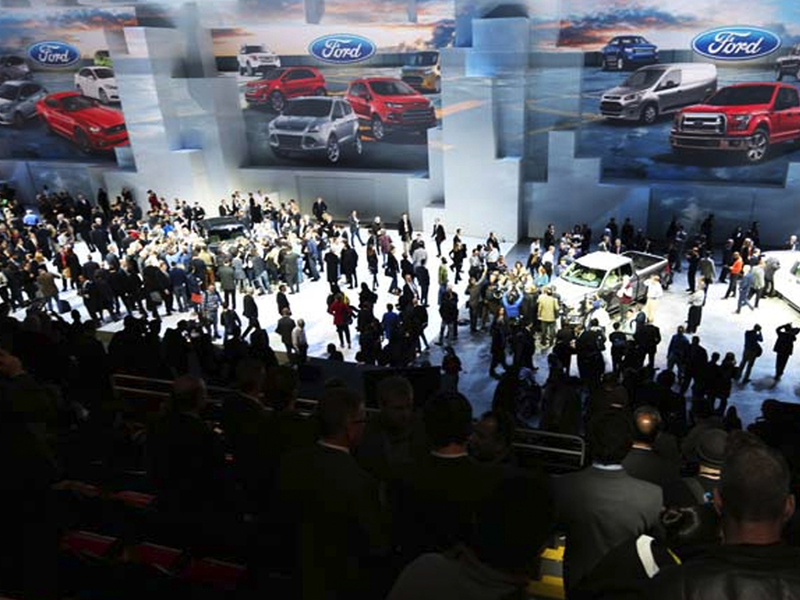 Photo Cutline: The Ford press conference was one of seven major manufacturer events prior to the launch of the show that utilized Radio Active Designs UV-1G wireless intercom system. 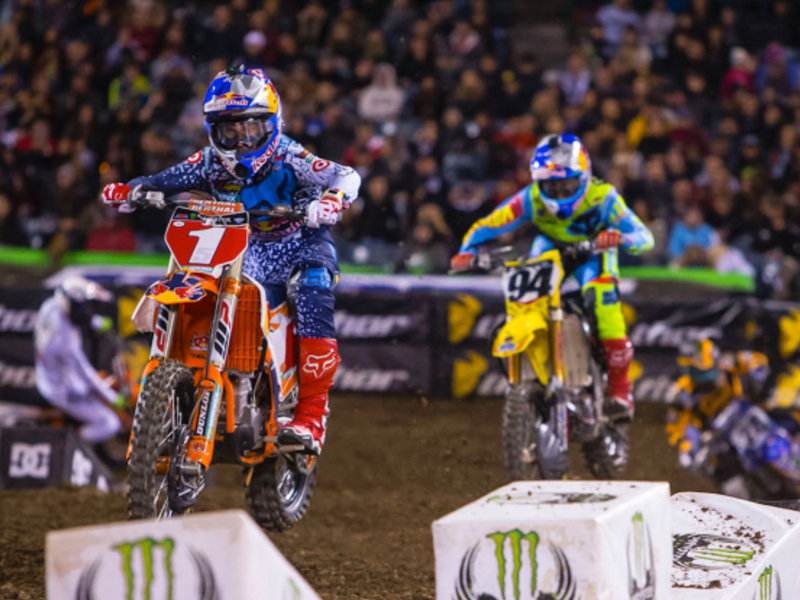 AMA Monster Energy Supercross, an FIM World Championship, is a dirt bike racing competition produced in the world’s premier indoor/outdoor stadiums on a dirt Supercross track. This year the fast-paced, action-packed races – 17 in total — utilized Radio Active Designs UV-1G wireless intercom systems to ensure rock-solid communication throughout each event. Williams used all six channels of the UV-1G base station, deploying six RAD bodypacks for each event. The UV-1G base station is rack mounted directly below his console allowing him immediate access to the production staff. Because the UV-1G base station operates in a sliver of UHF bandwidth while the RAD packs utilize the relatively unused VHF range, there is more RF bandwidth available for operation of other wireless devices. Given the busy event schedule, this was another bonus for the production team. Communication during sporting extravaganzas like Super Bowl 50 is always difficult – the area is typically “RF challenged”, making the use of wireless particularly trying. 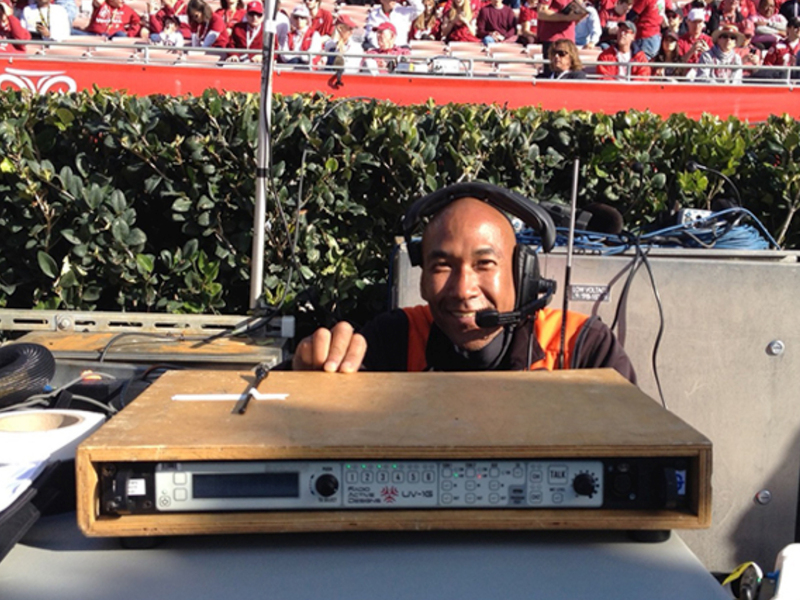 Fortunately, eleven Radio Active Designs (RAD) UV-1G wireless intercom systems were on site during numerous events leading up to, during and after the game to ensure all lines of communication were kept open. CP Communications, located in Elmsford, New York, was responsible for wireless audio transmission for pre- and post-game events as well as during the game itself (except for the half-time show). The company provided six UV-1G base stations along with 30 RAD packs to ensure production went off without a hitch. Radio Active Designs UV-1G features Enhanced Narrow Band technology, which is 10 times more spectrally efficient than current FM technology. As a result, the UV-1G offers RF channels possessing an occupied bandwidth of a mere 25 kHz the audio characteristics one would expect from a traditional FM system. In addition, the system utilizes the relatively unused VHF range for all belt pack portable devices, leaving more room for operation of other wireless devices, such as wireless microphones and in-ear monitors – exactly what was required during the Special Olympics World Games. Brian Ready, account manager and systems engineer for CP Communications, was RF Technician for the NFL pre-game events as well as during the game itself. Prior to the game he deployed one UV-1G unit at Super Bowl City in downtown San Francisco and another during the NFL Red Carpet Honors show held the night before the game. On game day he had one unit situated at the fan plaza outside of the stadium and two more in the stadium. Jeff Watson was ATK Versacom’s RF PL Engineer for Super Bowl 50’s pre-game, anthem, halftime show and Lombardi Award presentation. He utilized five UV-1G base stations with 30 RAD bodypacks to make sure everything went smoothly. 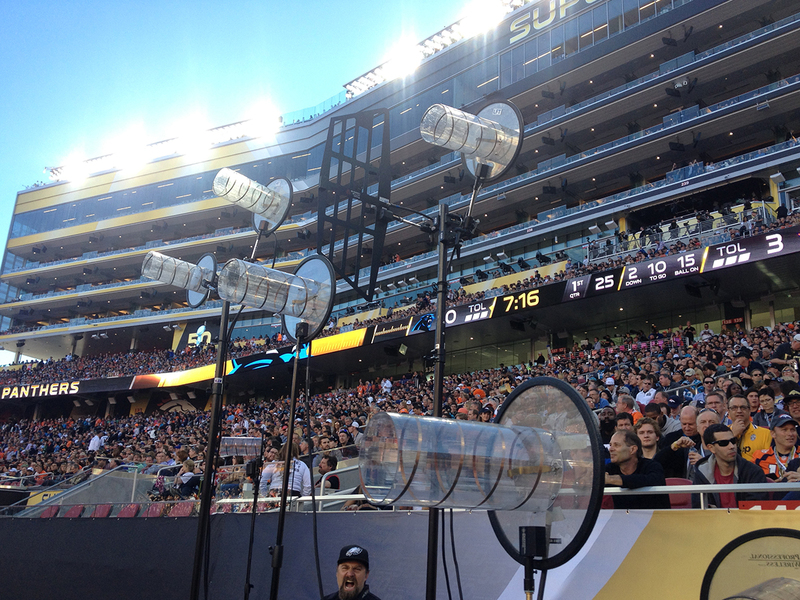 ATK Audiotek provided sound reinforcement for Super Bowl 50’s pre-game, anthem, half-time and Lombardi Award events. 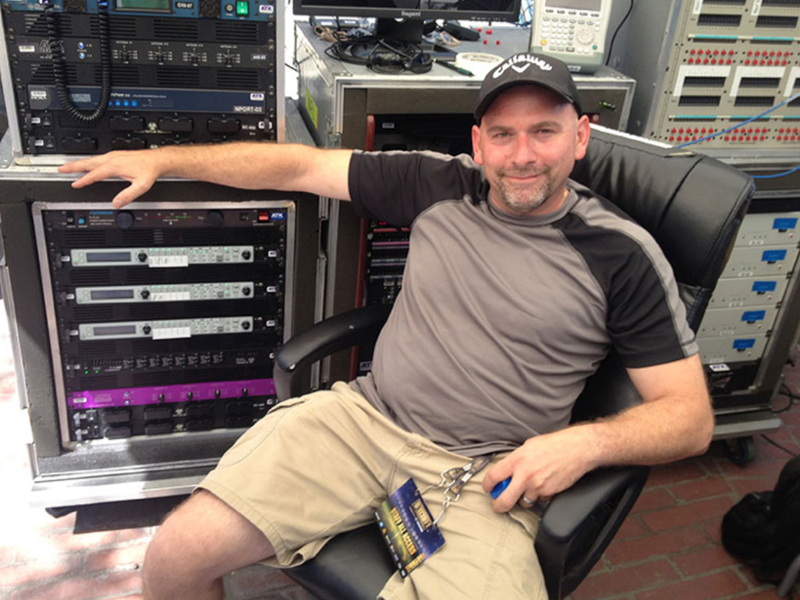 James Stoffo was on site as ATK Audiotek’s entertainment RF engineer. His responsibilities included managing all of the wireless microphones, in-ear and intercom operations for the pregame show, anthem, referee, half time “Extravaganza” and post-game Lombardi Award presentation. Five UV-1G base stations were on site for communications throughout the day. In addition, Radio Active Designs VF-1 VHF paddle antennas were also in use making is possible to cover the entire stadium with just one receiver antenna. A remote antenna was used in the tunnels for continuous coverage throughout the entire venue. Photo Cutline: (Bottom) ATK Antenna Farm – one VHF RAD receiver antenna covered every belt pack on the field. The Rose Bowl Stadium, in Pasadena, California is notorious for being one of the most challenging RF environments in the country. This year six Radio Active Designs UV-1G wireless communication units were deployed to provide some relief from the problem. Because the stadium is situated close to most of the TV transmitters for Los Angeles, open RF channels are in high demand. During the event there were only four open UHF TV Channels to operate 150 wireless microphones, intercoms and IFB systems. Fortunately, the UV-1G unit requires less than 30 kHz of the UHF band while the RAD bodypacks operate in the VHF band – allowing RF bandwidth to be used where it is needed. ATK Versacom was on site to provide communications for production personnel involved with pre-game and half time entertainment as well as interfacing with ESPN staff for game communications. Jim Fay, general manager for ATK Versacom, utilized three base stations and 18 RAD body packs during the event. Radio Active Designs VF-1 VHF paddle antennas were also in use making is possible to cover the entire bowl with just one receiver antenna. A remote antenna was used in the tunnels for continuous coverage throughout the entire venue, another first for the Rose Bowl Stadium. Highland Heights, Ohio-based Eighth Day Sound provided a Radio Active Designs (RAD) UV-1G wireless intercom base station and 12 RAD packs along with sound reinforcement and production support for the recent Beyoncé “On The Run” tour. The RAD UV-1G is unique because the 6-channel unit utilizes a small amount of UHF bandwidth – only 25kHz per channel – while the RAD packs operate in the seldom-used VHF range. This opens up valuable RF space for wireless microphone and in-ear monitoring systems. Tour RF Tech Corey Willis, who was responsible for 36 channels of RF and IEM coordination, found the additional bandwidth incredibly useful during production. Photo Cutline: The Beyoncé “On The Run” tour travelled with a Radio Active Designs UV-1G wireless intercom system to assist with communication during each performance. For the 10th year in a row, Red Hook, New York-based Firehouse Productions provided RF and wireless coordination for the Victoria’s Secret fashion show held at the Armory in New York City. This year was the first year they brought along Radio Active Designs UV-1G wireless intercom units to assist with communications during the event. Although billed a fashion show, the annual Victoria’s Secret Fashion Show is a high profile and high production event that features not only fashion but also top musical acts performing live. Communication is key during this non-stop extravaganza. The UV-1G unit requires less than 30 kHz of the UHF band while the RAD bodypacks operate in the VHF band. With 200 channel of wireless in use, the more bandwidth that could be freed up for wireless microphones and in-ear monitoring systems, the better. Firehouse Productions provided four UV-1G base stations along with 24 RAD bodypacks. Two of the base stations were used for model wranglers with the other two systems set aside for show riggers and deck crew. Photo Cutline: The annual Victoria’s Secret Fashion show benefits from Radio Active Designs wireless intercom systems provided by Firehouse Productions. Radio Active Designs Upgrades NBC Studios In Washington D.C.
Jetwave Wireless, located in Alexandria, Virginia, recently installed two Radio Active Designs UV-1G wireless intercom systems in the NBC studio facilities in Washington, D.C. They provided a third unit for use during remote broadcasts. As a Radio Active Designs dealer, Dugan was familiar with the newly introduced UV-1G wireless system. Not only would it provide the solution the studio was looking for but it would position it for the future as well. “The UV-1G unit has a number of features that no other wireless intercom system offers,” explains Dugan. “The system is very spectrum friendly – the base station operates in a very small footprint in the UHF band while the bodypacks operate in the relatively unused VHF band – which minimizes problems with finding available bandwidth. The UV1G offers affords us good spectrum load balancing in putting intercom receive in VHF. After adding on to the existing distributed antenna system, the 12 RAD bodypacks work seamlessly anywhere in the studio facility – studios, green room, newsroom, outside in front of the building and most importantly in the back hallways near craft services. With up to six RAD packs per unit, the UV-1G can accommodate more than other products on the market. All previous reception problems were resolved. Photo Cutline: Jim Dugan, owner of Jetwave Wireless in Alexandria, Virginia. Valencia, California-based ATK Versacom recently provided audio and video production for the annual NFL pregame concert held in San Francisco. The event went off without a hitch due in part to the three Radio Active Designs UV-1G wireless intercom base stations and 18 RAD belt packs utilized to keep lines of communication open for the crew. In past years the concert was hosted by the previous Super Bowl champions, but this year the concert was held near the historic Ferry Building in downtown San Francisco as part of the celebration for Super Bowl 50. Train and Ellie Goulding headlined the event. The concert was also the debut of Radio Active Designs UV-1G wireless intercom with newly introduced enhancements that included a new audio board along with Base Link and system synchronization technology. Even with the loud roars of the audience and a concert level PA system, the UV-1G delivered loud and clear communications for the backstage audio and video crews. In addition, because the UV-1G system is the only professional wireless systems that operates in the relatively unused VHF band, frequency coordination was much easier. Enhanced Narrow Band technology allows Radio Active Designs to fits more than ten times the amount of wireless systems in the same band as FM systems. As a result, even the base stations, which operate in UHF, have a very small footprint in the UHF band. 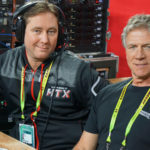 Photo Cutline: ATK Versacom’s Matt Campisi with the three Radio Active Designs UV-1G wireless intercom systems utilized for backstage communications during the NFL pregame concert. 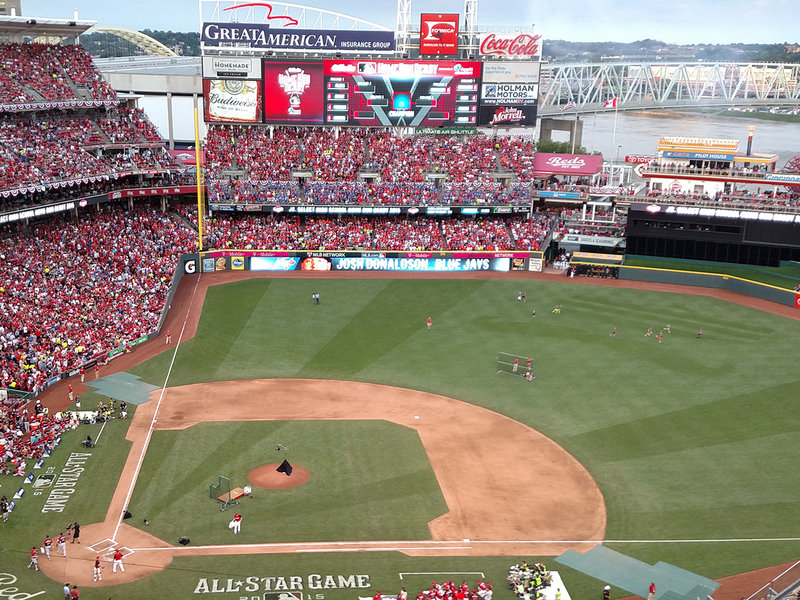 The 2015 Major League Baseball All-Star game or “Midsummer Classic” was recently played at Great American Ballpark in Cincinnati, Ohio. The league utilized a Radio Active Designs UV-1G wireless intercom system to assist with communications during the event. The sports division of Durrell, headquartered in Nashville, Tennessee, provided the MLB with the UV-1G system. The Cincinnati Reds had an older, more generic intercom system at the park that required more bandwidth than the Radio Active Designs system. Thanks to Radio Active Designs’ Enhanced Narrow Band technology, each channel of the UV-1G has an occupied bandwidth of only 25 kHz, which is substantially less than a typical system. Because there were more than 60 wireless systems in use, it was important to keep RF use to a minimum. The UV-1G also utilizes the relatively unused VHF range for all belt pack portable devices, which frees up even more RF for operation of other wireless devices. Four RAD packs were in use by Major League Baseball throughout the game. CP Communications, headquartered in Elmsford, New York, was also on site with three UV-1G base stations and RAD Packs that were utilized by ESPN during the home run derby. Photo Cutline: Radio Active Designs UV-1G wireless intercom systems assisted with communications at the recent MLB All-Star Game in Cincinnati. The Special Olympics World Games, recently held at the Los Angeles Coliseum, drew athletes and coaches from 165 countries, along with 30,000 volunteers and 500,000 spectators. Valencia, California-based ATK Versacom, responsible for all onsite communications during the event, provided two Radio Active Designs UV-1G wireless intercoms along with 9 RAD packs to aid communications during the event. With Stevie Wonder, Avril Lavigne and Nicole Scherzinger headlining the opening ceremonies and Carly Ray Jepsen, O.A.R. And Andra Day performing for the closing ceremonies, RF for wireless microphones and in-ear monitoring was in high demand. In addition, ESPN broadcast the opening ceremony live, and they had RF requirements as well. Radio Active Designs UV-1G features Enhanced Narrow Band technology which is 10 times more spectrally efficient than current FM technology. As a result, the UV-1G offers RF channels possessing an occupied bandwidth of a mere 25 kHz the audio characteristics one would expect from a traditional FM system. In addition, the system utilizes the relatively unused VHF range for all belt pack portable devices, leaving more room for operation of other wireless devices, such as wireless microphones and in-ear monitors – exactly what was required during the Special Olympics World Games. 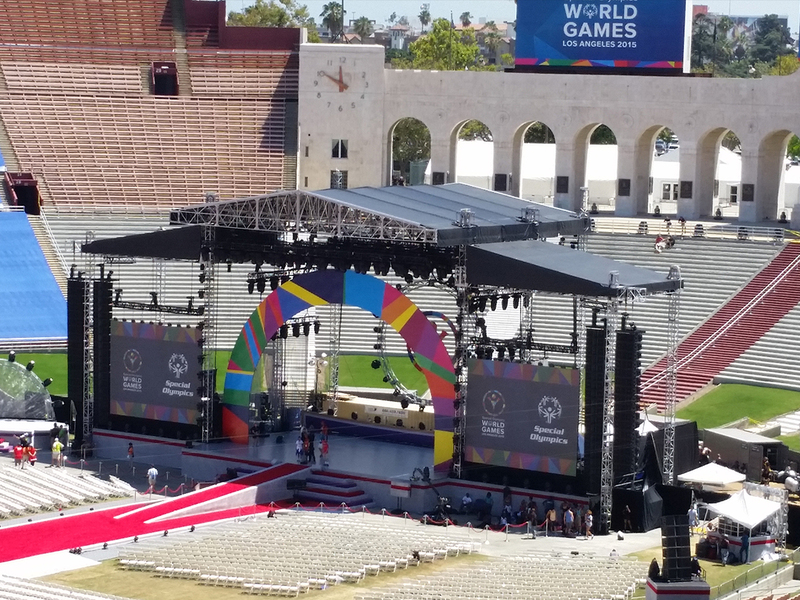 Photo Cutline: ATK Versacom provided flawless communications during the Special Olympic World Games held at the Los Angeles Coliseum. Southeast Christian Church, located in Louisville and arguably one of the largest mega-churches in the country, recently installed a new wireless intercom system from Radio Active Designs (RAD). The new UV-1G base station and five RAD packs (beltpacks) free up RF bandwidth in the sanctuary at the 920 Blakenbaker campus while also simplifying wireless communications. 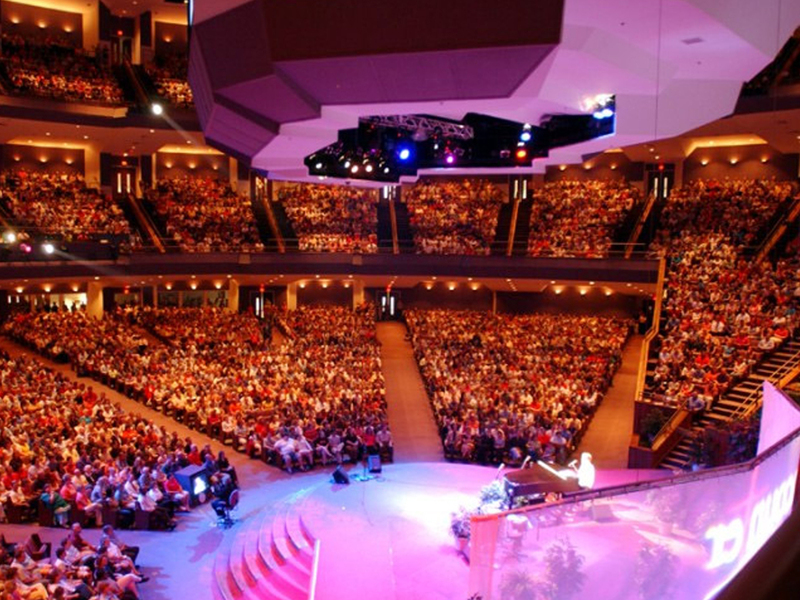 The sanctuary at 920 seats 9,000 worshippers and serves more than 20,000 people each weekend. Prior to implementing the one UV-1G base station, Perkins had two other wireless intercoms in place. A typical FM wireless intercom system requires 300 kHz of radio band to function properly. By implementing Enhanced Narrow Band technology, the UV-1G intercom system requires less than 30 kHz of the VHF band which frees up UHF bandwidth for other uses. In addition, because the VHF band is virtually empty, every comm operator has their own channel, further streamlining communication. Daimler Trucks North America (DTNA) recently debuted their new Freightliner Inspiration Truck at a spectacular event at Hoover Dam attended by several hundred international news media, trucking industry analysts and officials. OSK Communications out of New York created the “big idea” – which included projecting an impactful video on the wall of the Hoover Dam. SIAM Productions produced the overall event and tapped Creative Technology (CT) to deliver the spectacular video reveal and immersive sound to the audience. CT relied upon three Radio Active Designs UV-1G wireless intercoms to ensure the production went off without a hitch. CT utilized the UV-1G units to keep lines of communication open throughout the event. A total of 18 RAD packs were in use by production personnel. The Enhanced Narrow Band wireless intercom system offers RF channels possessing an occupied bandwidth of a mere 25 kHz with the audio characteristics expected of a traditional FM system. The UV-1G uses VHF for the belt pack portable devices leaving more room for operation of other wireless devices such as in-ear monitors and wireless microphones. 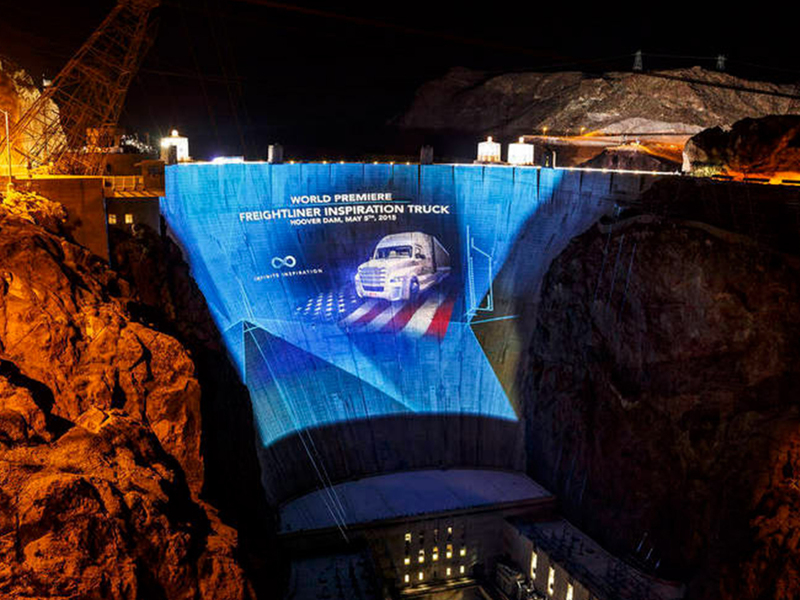 Photo Cutline: Creative Technology projected stunning video on the Hoover Dam while delivering an immersive sound experience to attendees of the truck launch. 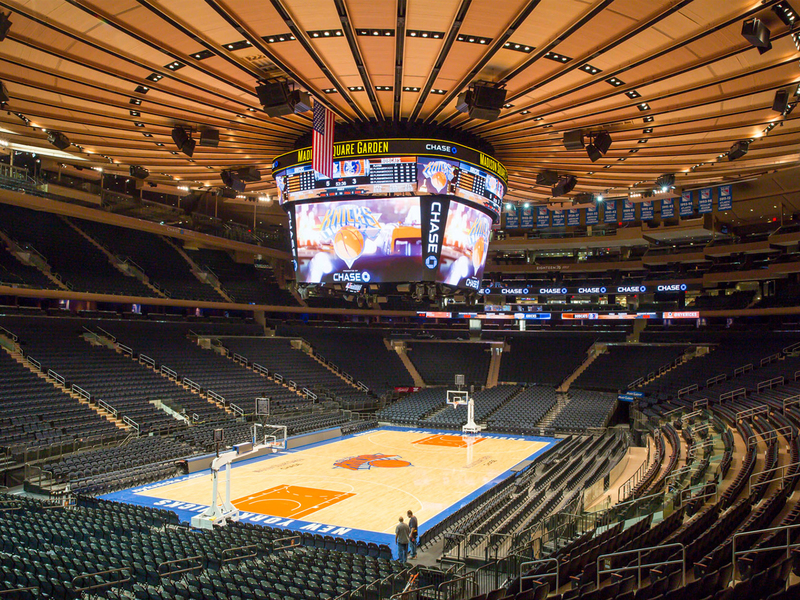 Redhook, New York-based Firehouse Productions put a number of Radio Active Designs UV1-G wireless intercom systems to work during the recent NBA All-Star Weekend held at Madison Square Garden in New York City. Four of the new UV1-G base stations and 24 beltpacks – commonly referred to as RAD packs – provided vital communication between production managers, riggers, special effects, carpenters, screens and automation professionals during the busy weekend. “These are key roles and we need a comm system we can rely on,” explains Vinny Siniscal, director of the wireless & communications division for Firehouse. A typical FM wireless intercom system requires 300 kHz of radio band to function properly. By implementing Enhanced Narrow Band technology, the UV-1G intercom system requires less than 30 kHz of the VHF band freeing up valuable UHF bandwidth. In addition, because the VHF band is virtually empty, every comm operator can have their own channel, eliminating any issues that can occur when forced to “double-up” in a UHF system. 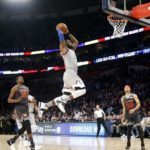 As with any event the size and scope of NBA All-Star weekend, reliability and durability are key qualities for gear in constant use. Although a relatively new product, the UV1-G system consistently proves itself extremely capable in demanding RF environments. Photo Cutline: Firehouse Productions deployed four Radio Active Designs UV1-G wireless intercom systems during the recent NBA All-Star game.